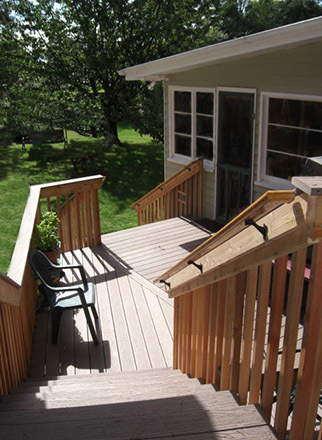 Designed and installed a multi-tiered deck. "I have worked with Dustin and his crew on close to a dozen projects – from large commercial, to small residential remodels and the gamut in between. As a designer, I often have to recommend a contractor and Dustin is always first on my list – his work is excellent, his respect for the client and the job site is excellent, his ability to troubleshoot and find solutions when issues pop up is excellent, and he is easy to work with. I hesitate to say more as I want to keep him busy on my projects!!" "We were very pleased with Dustin's professionalism, reliability, and expertise. We were very involved in choosing the materials for our remodel and Dustin added another layer of information for us to consider. His level of detail goes right to how things work and what it takes to make it happen. We were very green going into the kitchen remodel project, but once Dustin signed on, everything fell into place. He has acquired a dedicated network of specialists to call on as needed to keep a project moving forward. We love the end result of our new kitchen remodel, but the best parts of the journey are the memories of getting through it with Dustin." "After using the two projects Dustin designed and built for us three years ago, I wish I could think of a third thing we need, but, alas, no. The deck, stairway, and the serving table that Dustin designed and constructed, continue to function perfectly, and frankly look like new. The design of the stairs, I know was complicated, so his imaginative, educated and thoughtful approach was much appreciated. He also created a nice entry down the hill and into the garden." 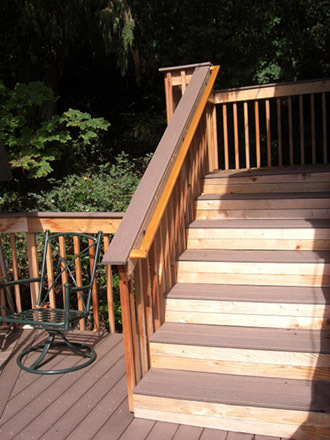 Call me at 206-919-7957 for a free quote! © 2014-2018 Adams Brothers Construction | All rights reserved.